I’m delighted to welcome Tammy Gold to Experienced Bad Mom today. Tammy is a mom and professional parenting coach who is not afraid to admit she doesn’t have all the answers. That makes her right at home on my blog and someone I could imagine being friends with in real life. 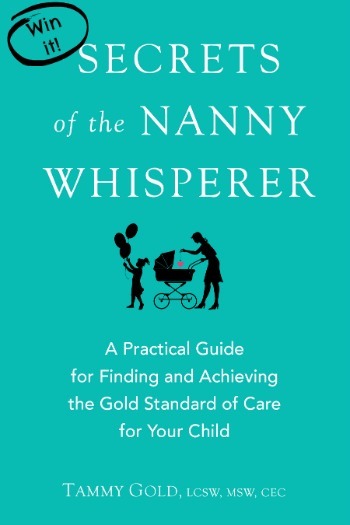 Tammy has written a new book, Secrets of the Nanny Whisperer, which is chock full of helpful advice for parents hiring a nanny or babysitter. Read on to learn more about Tammy, her thoughts on being a parenting expert, and enter to win your own copy of Secrets of the Nanny Whisperer! 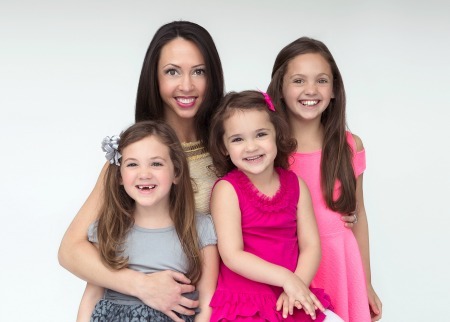 People always say to me, “You are a therapist and a parenting coach, your children must be amazing! They must always listen, you must never yell and there is probably no fighting in the home.” When I hear this I quickly snap them back to reality. What I tell my clients and what I aim for myself is to focus on the big stuff – “making them good, kind and empathetic people” – and letting go of all of the little stuff. If my gigantic 4-year-old wants her paci at night, or my 6-year-old dresses as if she is blind, I do not give it a second thought as long as they listen in school, are kind to others and are happy. Parents seem to put so much pressure on the physical aspects of parenting, making sure that their child “looks good,” “runs fast” or “plays beautifully.” However, what I believe to be most important is not how they look on the outside, but how they feel on the inside. With the Internet, there are countless “experts” everywhere telling parents they should be “doing this,” “buying that,” “wearing those” or “using these.” The amount of information can be so overwhelming and it can leave you feeling that everyone else has the key to parenting perfectly. Well, I am here to tell you that some of us experts do so only in the professional sense and that when it comes to our personal lives, we may be feeling the same overwhelming confusion or guilt. However, if we can all focus on the collective goal to raise “happy children” and know there will be mistakes, screaming and fights along the way, we can take some of this pressure off. It’s hard to parent selflessly and devote your time to creating emotionally healthy children, and parents need to know this and give themselves tools to help the process along. If those tools are TV, iPads, babysitters, glasses of wine or pacifiers, it’s all worth it in the end if these so-called “parenting don’ts” allowed us to be the best parents we could be at that moment in time. Many thanks to Tammy for sharing her honest, practical, and wise advice. In particular, I enjoyed her nudge to focus on the “big stuff” and let go of the little stuff. With common sense and kindness oozing from the words Tammy shared, who wouldn’t want to check out her book? In fact, you can win a copy now! Tammy is graciously providing 1 copy of her book plus a $25 Amazon gift card to a lucky Experienced Bad Mom reader. Enter using the Rafflecopter below. Good luck! Excellent advice! Stopping by from Bloggers Brags and pinning to Pinterest! The whining. Oh the whining. I’m just asking that you pick up the stuff that you left on the floor. Or on the couch. Or in the car. Or on the table. Without whining about it. My 6 year old has recently gone through a regression stage… We think because we are expecting our third baby. Looking for advice! Love this insight. I felt a lot of pressure when I was a kid to look a certain way and be the best – I think my parents, and especially my father, derived some of his identity from how his kids appeared and performed. Now with my little girl I am trying to respect she is her own person, with unique strengths and weaknesses that don’t have anything to do with me. She just needs me to love her. Jessica @ Absurd, She Wrote recently posted…The more things you do, the more you can do. Such great insightful advice here! With 21 and 19 years olds I truly relate to the “think of the big picture” concept. When my lad came 4th in a swim meet at 8 just missing out on a medal it was heartbreaking. Now? Both he and I could care less. He’s happy and loving his life. Here’s to being the best parents we can be in that particular moment of time. Great advice. We’re pretty firm on bedtimes as well, and I love the focus on kindness. The more kids you have, the more you have to look at the big picture. For survival. Turns out it’s also a great way to exist with the gifts we’ve been given – our kids. Love this approach! i would love to read this book. i read many parenting books – you cannot have enough ideas when raising kids!!! Getting my son to sleep without bouncing and dancing. It took nine months to figure out how to get him to sleep on his own! I wrote all about it today, actually! My kids flip flop so much on what they want that I feel like I can’t ever win! If I pick them up early they get mad because they aren’t finished playing. If I let them stay late, they get mad that I left them there so long. I honestly just can’t win! I can relate to most of the comments above! The challenges I am currently facing are children getting out of bed in the middle of the night, and coming to our bed, with no official reason, and purposely irritating a sibling! My biggest challenge was getting my son to sleep without bouncing and dancing. One issue I have is trying to put the kids to bed. It is an ordeal every night. One challenge for me is the whining and patience! Teaching them to wait for things is so hard sometimes. Just the concept of time…and having more patience. I’m a grandparent now but one problem I always had was “middle child” guilt. I tried so hard not to have them feel like a middle child that he ended up being spoiled and the other kids resented him. They are older now and are not close. I was a nanny in Europe. The language barrier was a challenge for me. A child care challenge I’ve faced is keeping children interested in homework. My son has a tendency to bite when he is frustrated. He’s autistic and typical suggestions just don’t work. I faced the tantrum on the floor. All my children tried that just ONE time. I just ignored them and stepped over them if they were in my way. When they realized they weren’t getting what they wanted they just stopped by themselves. By their own choice, none of my children ever did it again. I’m excited about this book as it looks as though she has a lot of valuable advice to help other parents!